Our interview with Mary Gage for Kansas Outdoors magazine. Download and read it here. Top 3 trails that you’ve never heard of. 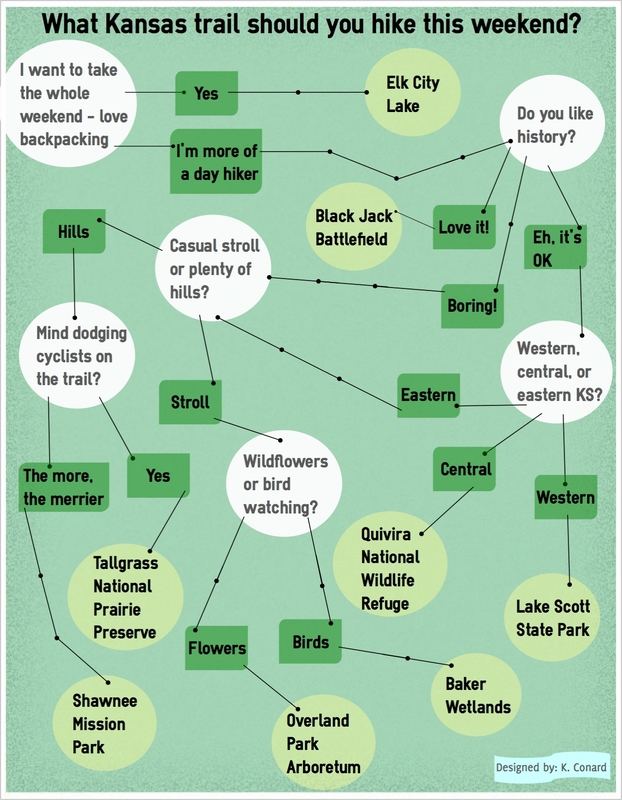 . .
Part of the allure of hiking and biking in Kansas is the opportunity to get off the beaten path and explore all that the state has to offer. For the intrepid adventurer, here are three hidden gems that are worth venturing off the interstate to experience. Rich in both history and scenery, this 2-mile trail west of Council Grove allows hikers to trek through a site that was occupied by the Kaw Indian Nation until 1872. The trail includes killer views along the upland ridges of the pristine Flint Hills tallgrass prairie, and historical sites including ruins of limestone cabins and the federal agency building for the reservation. You know that a trail is relatively unknown if the front desk staff at the state park office isn’t even familiar with it. Despite the lack of publicity, we think that the Agave Ridge Trail is one of the top trails in the western part of the state. The chalky white limestone bluffs and steep canyons throughout the trail provide a hiking or riding experience with sweeping views and some dramatic elevation changes. The overall landscape is similar in some ways to the acclaimed Switchgrass Trail at Wilson Lake but with even more solitude (and wildflowers). 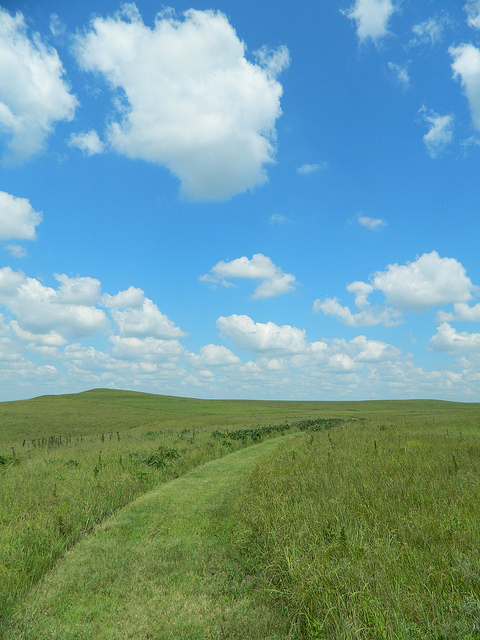 The Flint Hills is the ultimate destination for many Kansas hikers and most people are familiar with the excellent hiking opportunities at Konza Prairie and the Tallgrass Prairie Preserve. For those wanting to venture out and explore more of the Flint Hills, we recommend the 5-miles of trails at Camp Alexander. Bikers will find a mix of terrain, with a few technical sections mixed in with some fast-riding singletrack routes. These are a few of our favorite “hidden gems”, what trails have you enjoyed that have taken you on the road less traveled?